Why Android Mobile App Development? Android applications are becoming increasingly important to businesses and consumers alike. These apps enable end users to streamline work tasks, stay in touch with one another, play games, watch videos, and much more. Android app development is essential for both large enterprises and small businesses. With the right Android applications, companies can provide their customers with unforgettable experiences across a wide range of Android smartphones and tablets. At Seamgen, a leading Android app development company, every Android app project starts with a great, user-centric design. Our team of Android app developers have experience with Kotlin, Java, C, C++, and CSS to create mobile apps that differentiate themselves in the crowded marketplace. We are dedicated to creating fast, user-friendly, and intuitive apps for Android phones and tablets. To accomplish these goals, our Android app design and development teams maintain constant communication with one another. They use state-of-the-art technologies to ensure our Android applications exceed our clients' expectations. We keep the lines of communication open with our clients at all times. This means we will always reach out to you, learn about your Android app goals, and do everything we can to help you achieve optimal results. How are past clients using our Android apps? MGM Resorts International owns and operates some of the world's top destination resorts, including Bellagio, Mandalay Bay, and The Mirage. When MGM needed a best-in-class Android app, they came to Seamgen. We helped MGM launch a one-of-a-kind Android app that serves as a digital storefront. The MGM app also provides guests with quick, easy access to a wealth of information. Click here to see what the MGM app for Android phones and tablets is all about. Our Android design and development projects extend into other industries as well. 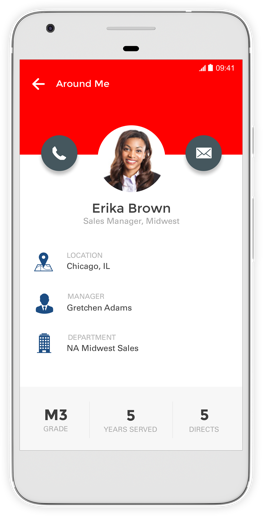 For example, we recently worked with Buffini & Company, a provider of real estate coaching and training seminars, to create the Referral Maker CRM app for Android devices. Referral Maker helps real estate agents simplify their day-to-day work. It leverages advanced mapping technology that allows a real estate agent to plan their route when going out to visit clients. Also, Referral Maker boasts a Priority Action Center that empowers a real estate agent to track calls, notes, and various daily priorities. Perhaps best of all, Referral Marker offers an in-app calendar that instantly syncs to an Android device's calendar, ensuring a real estate agent can stay focused on important tasks. 6 parks. 3 brands. 1 app. Deployed as 3 separate apps, for SeaWorld, Busch Gardens and Sesame Place, we utilized Xamarin to share code across business services and core logic, to develop a single unified code base that powers all 3 SeaWorld Parks & Entertainment applications. A flexible design language allowed for simple asset management to customize each application. Combined with a powerful CMS, and analytics platform this suite of applications allows park management to gain valuable insight into the park. Mobile is maturing as a medium, and with maturation brings about libraries, SDKs, APIs, and an immense amount of integrations—both direct and 3rd party. Our team is well-versed in a multitude of integrations and pre-built modules, and can learn and research throughout the development cycle for fast, efficient ways to build the applications. Mobile apps are more successful when experienced engineers integrate with the best practice 3rd parties. ScriptSave WellRX prescription discount card is accepted at thousands of pharmacies across North America. The app allows users to compare medication prices in real-time to find the best deal within their region. Savings are instantaneous. Users simply show their savings card each time they fill or refill a prescription. Savings average 45% per prescription, with potential savings of up to 80%*, and all prescription medications are eligible for savings. We have extensive experience across different industries and our tried and true android app development process has led to the deployment of many successful applications. From idea all the way to the app store, we will work as an extension of your team to handle the entire software development lifecycle. When it comes to Android app development, Seamgen is the ideal choice. We employ experienced, knowledgeable, and resourceful Android developers, all of whom are willing to do whatever they can to help you deploy the best-possible Android applications. Plus, we will collaborate with you throughout the entire Android app design and development process to ensure you get the right app, at the right time, every time. To get started on an Android app, please contact us today at hello@seamgen.com or fill out our online form.